As the IT landscape changes and shifts, there’s been a migration to the cloud. However, not all IT management tools have made the shift to the cloud. Directory services, for example, has been one of the last IT management categories to make the jump for a number of reasons, primarily security concerns and functionality requirements. 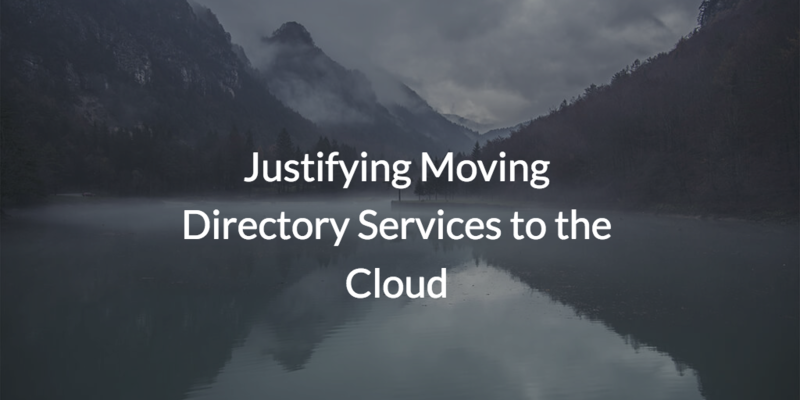 Recently, however, a leading analyst firm, Stack Analysis, made the case for justifying moving directory services to the cloud. But, before we outline the advantages of next generation cloud directory services, let’s discuss traditional directory services at a high level. Historically, identities have been stored on-prem, primarily within Microsoft®’s identity provider, Active Directory® (also known as MAD or AD). Active Directory was introduced in 1999. It’s an on-prem directory services platform that offers management capabilities for Windows®-based systems, applications, files, and networks. When AD was released, virtually all IT resources were on-prem and Windows-based. As a result, AD was effectively the only management tool required. Of course, today, the IT landscape looks very different. Not only are many IT resources delivered from the cloud, but we’ve begun to see a shift away from Windows®-based systems and applications, which is causing IT admins a great deal of trouble as well. Yet, even though there has been significant changes in networks, IT admins are still leveraging Active Directory, and a number of patch-on solutions built on top of AD, to solve their IAM problems. Obviously, this approach is far from ideal. And, the fact that identity security is now a primary concern for IT admins makes it easy to understand why IT organizations are rethinking the on-prem identity management approach. According to Stack Analysis, modern IT organizations are demanding greater control, efficiency, and security. This, of course, makes a great deal of sense when IT admins are faced with heterogeneous environments, limited resources, and constant attacks (in Verizon® 2018 Data Breach Release Report, there were 53,000 incidences with 2,216 confirmed data breaches). The result is that IT organizations are rethinking their identity management approach. Securely connecting users to their IT resources impacts all of those critical areas and it is clear that their existing approach with the on-prem Active Directory doesn’t work for organizations with heterogeneous, cloud-forward environments. 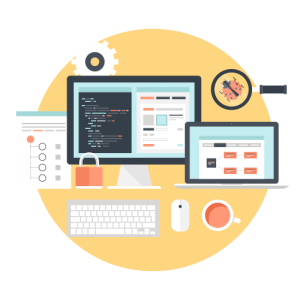 Thus, IT organizations are searching for solutions that can enable them to leverage cloud-based server infrastructure, web applications, new types of file servers with NAS appliances with Samba file servers, WiFi networks, and much more. Beyond that, a new identity and access management approach needs to be cost-effective (specifically targeting the costs of upkeep for on-prem) and not lock them into one vendor’s solutions, as AD ropes organizations to work with almost exclusively Windows products. Ultimately, if all needs can be met, organizations can become far more productive and secure with a cloud directory services platform. The question then becomes, is there a cross-platform Active Directory-like solution that can be delivered from the cloud? The answer is yes, the JumpCloud® Directory-as-a-Service® platform shifts identity management to the cloud. Most importantly, according to Stack Analysis, JumpCloud tackles the core challenges head-on around identity management that IT organizations are facing, including the ability to securely connect users to a wide range of IT resources from the cloud. Watch the video below for a history of JumpCloud, it outlines the evolution of directory services and the problem that we’ve set out to solve. If you’re ready to migrate to the cloud, drop us a note! Our expert support team is happy to answer any of your questions about our cloud-based solution. Want to see it in action first? You can schedule a demo here or sign up to try it yourself. Signing up is free and includes ten users free of charge forever.